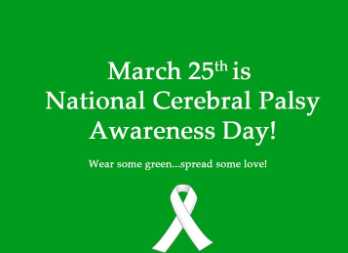 On Monday, March 25th, many students at South Windsor High School wore green in order to bring awareness to cerebral palsy. On social media, lots of students posted messages the night before to remind people to participate. This topic is especially important to senior, Sammie Kasheta, who has a brother with cerebral palsy. Proud to be his sister, Kasheta believes that many don’t understand the reality of what it means to have cerebral palsy. She explained that although he didn’t go to classes like hers when in high school, he was in programs such as Unified Sports. Programs like Unified allowed for her brother to participate and meet many fellow students. That program involves many people not only with cerebral palsy, but with down syndrome and autism as well. Kasheta expressed that living alongside her brother has given her “more knowledge about how to be respectful, there’s no difference between everyone, no matter what.” She struggled with this as a child, because she would get upset when strangers looked at him, and would want to defend him. Kasheta acknowledged that there are some major differences that come with having a brother with cerebral palsy. Her brother must use a walker and has a board/computer to communicate. She explained that many don’t understand that he has the same mind as everyone else. “He knows what’s going on even though his physical situation makes it difficult to show that,” she described. Though frustrating when people don’t understand the realities of cerebral palsy, Kasheta was proud to say that her experiences have given her perspective on the things people can do.